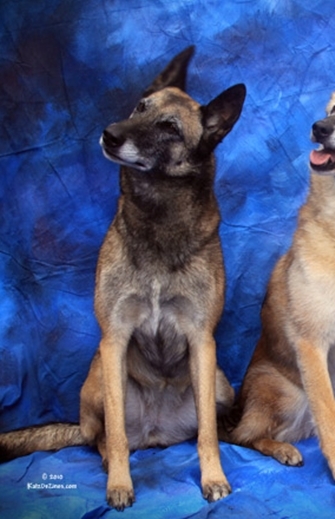 I expect these pups to be excellent companions with easy-to-live-with character, but they should also be willing to learn anything that the owner wishes to teach them. They should also have excellent structure, and I'd expect them to have a long, active life. Pups will be evaluated for temperament and structure, will have health check and first vaccination. Pups will not be going to their new homes until 9 wks. of age. They will not be shipped so potential homes must be willing to travel to the Pacific NW to get their puppy. 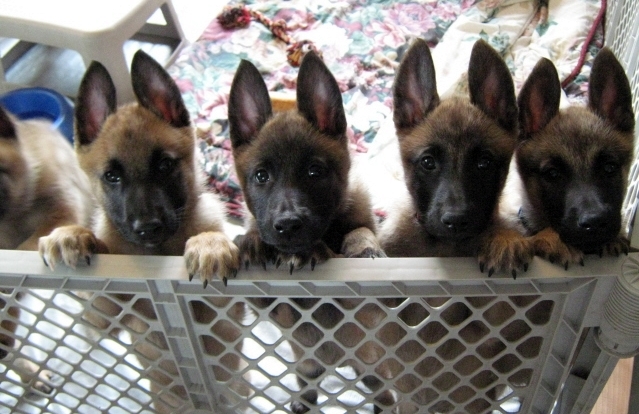 First date when pups will go to new homes is expected to be around August 3rd. Pups will be AKC registered. Prospective buyers must complete a buyer's questionnaire that you can obtain from me by sending an email to dhaworth@tds.net. If you have specific questions concerning the litter, please contact me. I love to discuss the breed and my dogs. 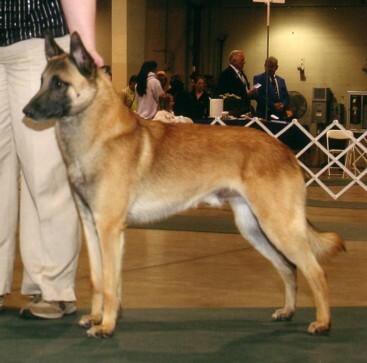 I have shown Belgian Malinois since 1973 and received my first Malinois, Ch. Souvenir O'Crocs-Blancs UD, as a puppy in 1974. I have titled my dogs in AKC obedience, UKC obedience, AKC herding, AHBA herding, and AKC conformation. I do not breed for protection sports, but for a versatile dog. 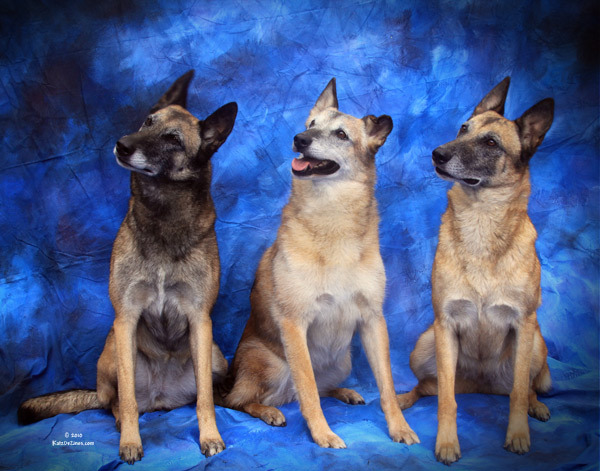 Mira is from my very successful R litter, and I believe her offspring will be just as successful. 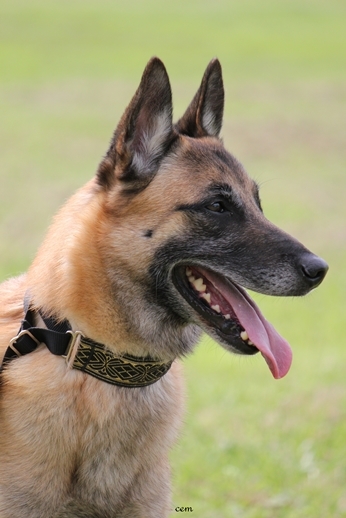 Happy athletic dogs with excellent structure are expected, the pedigree possess dogs with excellent health and longevity. Spring 2013 Abby is is doing very well, and turned 15 in July of 2013. 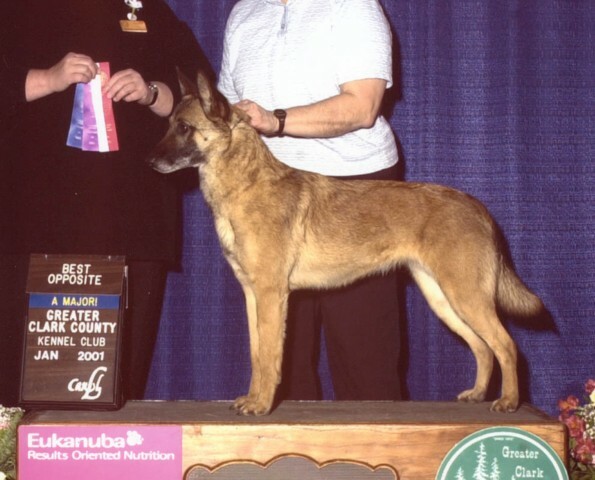 Abby has been an excellent producer of show dogs producing 9 Champions in her 2 litters (Souvenir "R" litter) and (Carousel "Star" litter) including an owner handled group placer. Abby's puppies also possess excellent performance qualities and structure - In the performance area multiple advanced agility titled dogs including 2 MACH and multiple advanced obedience dogs including an OTCH, SAR dogs, advanced Tracking titled, Nosework titled, Coursing ability titled, Herding titled and the list goes on.